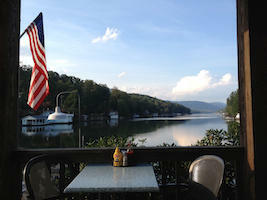 Enjoy a leisurely meal anytime of day at the downstairs bar and grill at Larkin's On the Lake. 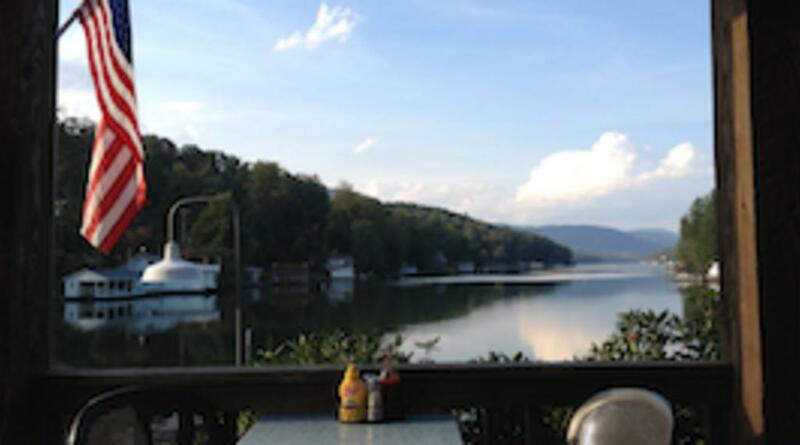 Pull your boat up to the convenient slips, or stop by for a relaxing view of Lake Lure. Featuring appetizers, salads, great burgers, steaks, ribs and more!